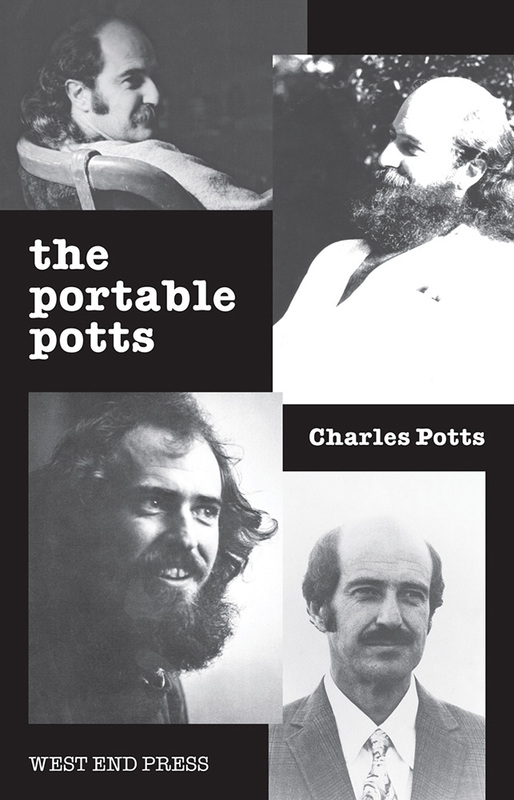 For more than forty years, Charles Potts has remained true to his origins as a relentless and radical visionary. This selection of poetry, fiction, and memoir represents work he has published in hundreds of magazines and over twenty books. Edgy, irreverent, and innovative, lyrical and analytical at the same time, he is one of the age's true literary discoveries. His creative geography ranges from the Bay Area to Mexico, Idaho to Salt Lake City, China to Japan, and now rests in Walla Walla, Washington, where his work continues to evolve. A westerner who faces Mexico and the Pacific Rim more readily than Europe or the eastern United States, Potts takes on the issues of his time, according to poet and critic Janice Faye Fiering, "in a mode of address unlike any other." Born in Idaho Falls in 1943, Potts emerged as a counterculture poet in Berkeley until he was hospitalized for psychosis in 1968. He collected and published many of his early writings, re-establishing himself as a poet and essayist, in the 1970s in Salt Lake City. After moving to Walla Walla, he worked in real estate to ensure his family's financial security. His renewed contact with the Idaho West of his youth resulted in important books of poetry in the 1990s, and his work developed further following his study of Japanese and Mandarin Chinese in that decade. His books include Little Lord Shiva (1968); Valga Krusa (1977); Rocky Mountain Man (1978); How the South Finally Won the Civil War (1995); Lost River Mountain (1999); Across the North Pacific (2002); and Kiot (2005). Charles Potts emerged as a counter-culture poet in Berkeley in 1968, challenging the liberal consensus of his day in his volume Little Lord Shiva (1968) and calling for a poetry of intellectual precision. While continuing his poetic production, Potts documented his Berkeley experience in the two-volume prose account Valga Krusa (1977), written in Salt Lake City. He moved to Walla Walla, Washington in 1978, where he continued to study the relationship between language, causality, and politics. West End Press produced a selection of his writings, The Portable Potts, in 2005. Charles Potts is also an important literary publisher and cultural organizer. He founded the magazine Litmus in Seattle and Litmus, Inc. in Salt Lake City, publishing eighteen books there in the 1970s. In 1996 he founded Tsunami, Inc. in Walla Walla, published the magazine The Temple for six years, and continues to support The Temple Bookstore.